Are you ready to do what you love? Wag N’ Wash offers an opportunity that empowers you to build your business and lifestyle on shaking the paws of your customers. We provide dogs, cats and their humans with an unforgettable experience in a place that cares deeply about their individual needs. You’re likely at a crossroads in your career-- just like our Founders, Dan and Jef were back in 1999. They decided to make a complete shift from successful, but grueling, corporate retail and real estate positions. Their founding principle was to build a business that afforded them a comfortable lifestyle, but included their aging Dalmatian, Geni. It’s why we’re a different kind of franchise. 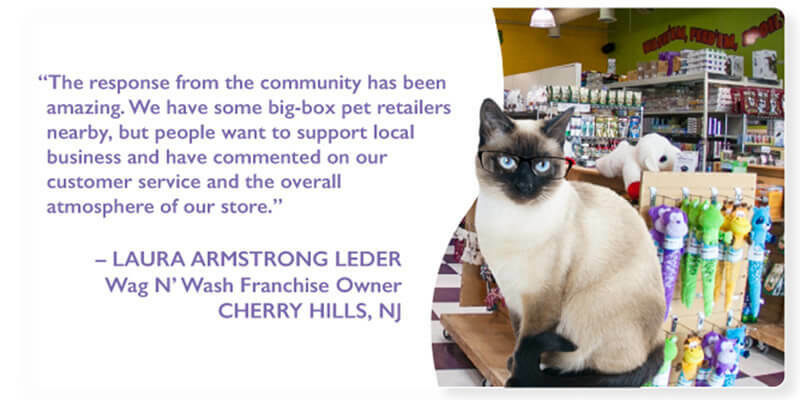 We’re business owners who are devoted to making a great living while enjoying the lives of our companion pets, and improving the lives of others. As you savor the last drop of your morning coffee and scroll through your emails, you reach down to give the pup a quick scratch and pop off your chair to get ready for the day. After a quick ride over to your store, you swing open the doors and greet your team-- both two and four legged. 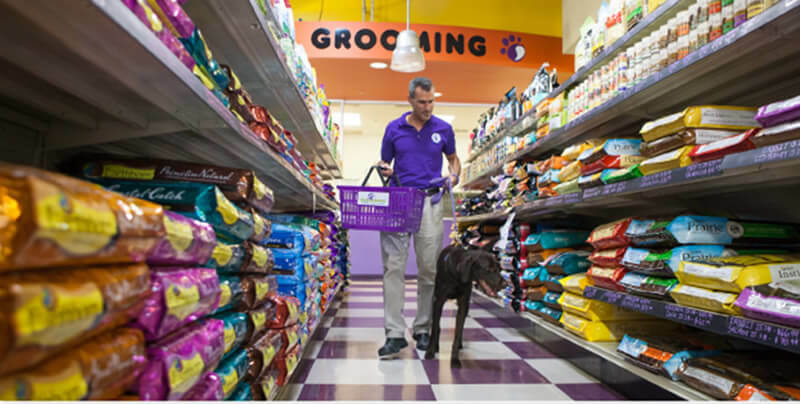 You and your pup take a lap of the store, checking with your team members to make sure that they have what they need for the busy day. 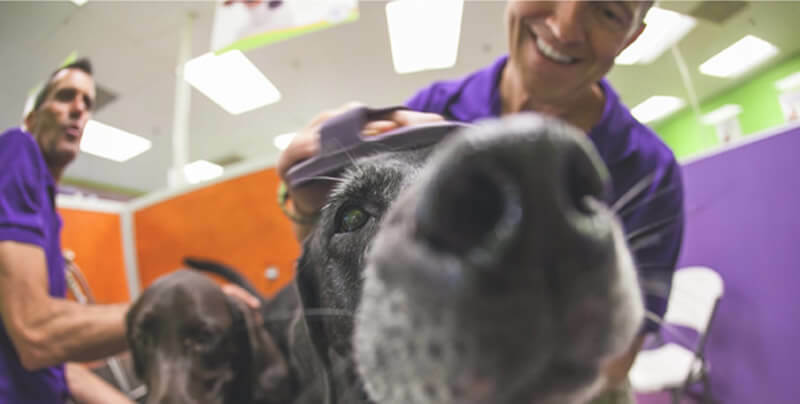 You greet guests as they pour in -- the morning rush is always an invigorating reminder of why you decided to follow your passions and own a Wag N’ Wash. You join the team in helping some guests, giving pointers on nutritional needs and making sure every pet has the right products for their needs. The sun is shining by now and the day is pretty warm, so you take the pup for a walk to the park. Don’t forget his ball! When you and the pup arrive back at the store, a little more tired and a lot less clean, you join your guests in the wash tub area making sure he gets a good soak and blow dry. It’s rewarding to share laughs with your human customers as the pups are soaking in the suds. In the afternoon, you hop on the phones and check in with a couple of local vets to schedule some clinics, and to check in with the local shelter on the adoption event you’re hosting this weekend. You’re expecting a pretty big turnout and for three dogs to find their forever homes, so it’s important to gear up for the extra traffic. You’ve got a few minutes left before you head back to your home office, so you pop into the bakery to whip up a cake for Flower’s birthday. She’s one of your regulars and her human is throwing her a birthday party this Saturday. You know she loves the icing, so you drop on a couple extra layers. It’s time to head home to prepare dinner for your family, so you load the pup into the car, tuck the store cats in for the night and check out with your team for the day. Relaxing after dinner, you open your laptop and look through your sales for the day to make sure the store is humming financially. Shut off the lights, and tuck in happily looking forward to another soul-nourishing day. Sound like the life you dream of, but haven’t yet attained? A pet enthusiast: You’re passionate about animals and serving as owner-operators to provide the best experience for companion pets and their human guardians. Outgoing and Hardworking: You’re willing to put a face to the brand and become part of your community. You’re willing to think out-of- the-box, and put in the hours to create a successful business. A Motivational Leader: You’re involved in the community and are always trying to give back. You’re detail-oriented, allowing you to thrive under our business model. Business Savvy: You’re experienced, knowledgeable, and willing to work collaboratively while still working individually to promote their store and their growth. WAG N' WASH is currently accepting inquiries from the following states: Alabama, Alaska, Arizona, Arkansas, California, Colorado, Connecticut, Delaware, Florida, Georgia, Hawaii, Idaho, Illinois, Indiana, Iowa, Kansas, Kentucky, Louisiana, Maine, Maryland, Massachusetts, Michigan, Minnesota, Mississippi, Missouri, Montana, Nebraska, Nevada, New Hampshire, New Jersey, New Mexico, New York, North Carolina, North Dakota, Ohio, Oklahoma, Oregon, Pennsylvania, Rhode Island, South Carolina, South Dakota, Tennessee, Texas, Utah, Vermont, Virginia, Washington, Washington, D.C., West Virginia, Wisconsin, Wyoming. @HopefulMonsterD Hope Jacob got a nice treat after his bath! @hgphillies Thanks for coming in! Hope Winston got a nice post-bath reward. @EmilyRoehler We LOVE it when Jax comes to visit!